As you plan your wedding, you may become overwhelmed with details, wanting to add a little bit of everything to create your dream wedding. Every couple wants the perfect wedding, with a spectacular venue, decorations that seem to be out of a fairytale, and a honeymoon that is better than anything you ever imagined. Seems doable, right? Perhaps it is if you have a huge budget. Unfortunately, weddings can get pricey quickly and picking what really matters to you is important to staying within budget. The best way to make sure you get what you need and some of what you want without spending your entire life savings is to set a solid budget. Setting a budget for a wedding is tricky because it is the first really big event you have likely planned. It is hard to know how much you can expect to pay or how quickly everything can add up. But don’t panic, we are going to help you learn a thing or two about creating a budget that will allow you to have a wedding you will love and fits what you want. The best place to start your wedding planning budget is to figure out how much you have to spend. Knowing how much you can spend can help you decide how much you want to and should spend. Ask your parents if they plan on contributing to the wedding and if so, how much. Whether you want them to just contribute money or pay for a certain aspect of the wedding is up to you, but knowing what they will contribute can help you decide what is left to spend. While you may have parents who are paying for the entire wedding, many couples choose to contribute some as well. Even if you do have parents paying for the entire thing, you will still want to set a budget so that your parents aren’t paying an excessive amount. When you are taking a look at your savings and how much you want to spend, be sure you are not paying so much that it will set you back financially. If you want to put a little more money into your wedding, start a separate fund so that you don’t start using your actual savings. You can add to your wedding fund as the months go by and save up more than your budget so you have a little wiggle room. 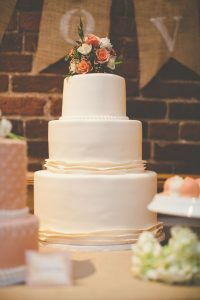 Lists are always good, especially for a couple that begins to feel overwhelmed with the endless choices and planning duties. You want your wedding to be perfect, which is understandable, but you also don’t want to break the bank creating that wedding. Think about your dream wedding, down to every last detail, but don’t get excited and start planning even more. But knowing what you want can help you start planning around your budget. As you think about the different aspects of your wedding, be sure to consider them piece by piece. Make a list of the things you need at your wedding and the things you want. What is really important to you? What can you maybe live without? What is not necessary to creating your perfect wedding? Making a list of what you really want can help you plan your budget accordingly and figure out how much you will spend on different aspects. The reception will be about 48 to 50 percent of your wedding budget. The ceremony will be about two to three percent of the budget. Your wedding day attire should be about eight to ten percent. The flowers will be about eight to ten percent of the budget. The entertainment and music you schedule for your wedding will be about eight to ten percent. The photography and/or videography should be about ten to 12 percent of your budget. Wedding stationery will be about two to three percent. The wedding rings will be about two to three percent. If you are paying for parking or transportation, it will be about two to three percent. Wedding gifts for your guests will be about two to three percent. Any miscellaneous items will be about eight percent. Don’t forget to budget in your honeymoon if you are planning that yourself. You don’t want you spend all the money on your wedding and have none left over to travel the world with your new spouse. An article from Brides mentions the idea of starting a spreadsheet to help you keep track of your spendings. They suggest splitting it into three columns: estimated, modified, and actual. Take some time to do research for the different parts of your wedding and figure out how much they will cost on average, these prices will go under the estimated. Once you start contacting the florist, caterer, and vendors, the proposals they give you will be in the modified column. And obviously, the final amount you pay goes in the actual column. It is also a good idea to add a line for “extra” costs, giving you a little wiggle room for things you are likely to forget. It is always a good idea to add a cushion, just make sure you don’t spend it before you need it. These are some of the first steps to creating your budget. In part two, we will give you more tips to planning the perfect wedding budget! If you are planning your wedding and looking for a beautiful and unique wedding venue that won’t break the bank, be sure to check out Bohemia River Overlook. 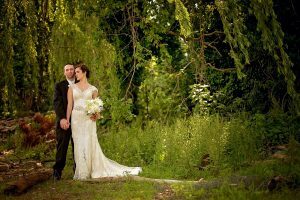 With three different locations at our venue, we can help you create the perfect wedding! Contact us today to learn more.